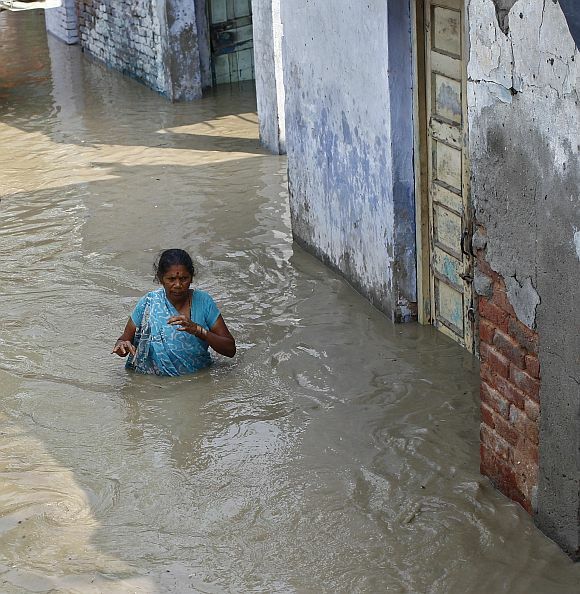 Low-lying areas along the Yamuna were on Wednesday flooded as water level in the river inched closer to breaking the 207.49 metres mark, the highest in recorded history, prompting the authorities to evacuate over 5,000 people even as a man drowned in the river. 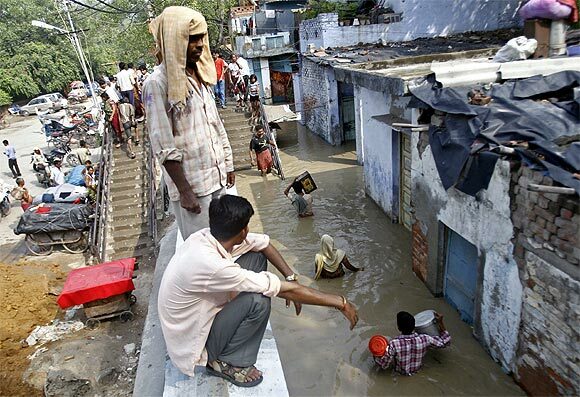 Send us photos of the monsoon.. Appealing to the people not to panic, Chief Minister Sheila Dikshit said the administration was "fully ready" to face any eventuality as all concerned departments and agencies have been putting in their best efforts to deal with the situation. The water level in the river was recorded at 207.32 metre at 7 pm, which is 2.49 metre above the danger mark of 204.83 metre. 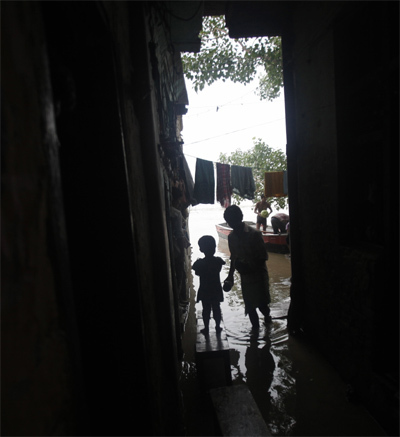 The highest water level of 207.49 m in Yamuna was recorded in 1978 when several areas in the city had witnessed flash floods. 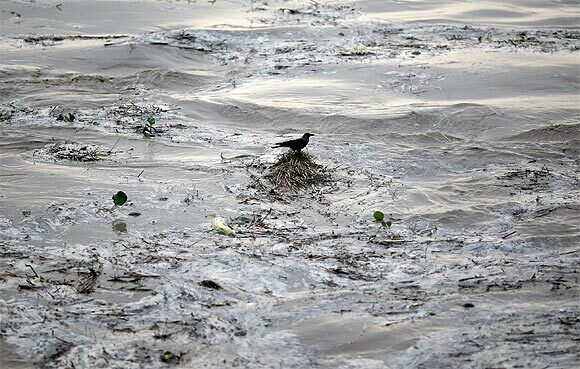 Officials said the water level is expected to cross the highest level by Wednesday midnight. The city government has asked the army to be on alert for helping the civil administration, if required. 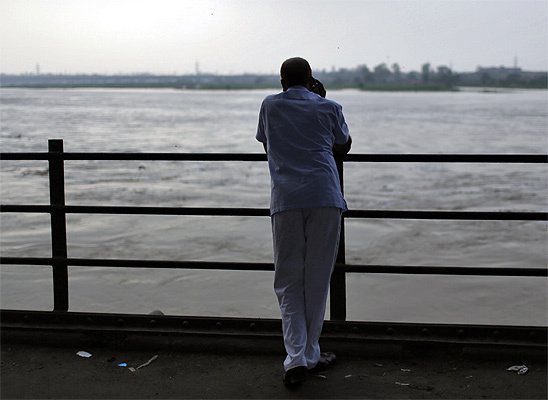 The water level in Yamuna has gone up primarily due to release of around 11 lakh cusecs of water into Yamuna by Haryana from its Hathnikund barrage in the last three days. 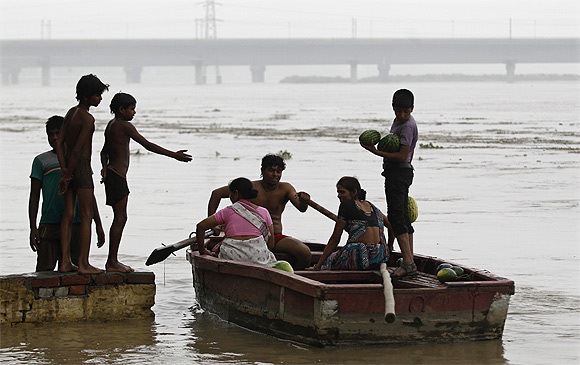 The neighbouring state released around one lakh cusecs of water into the river on Wednesday. 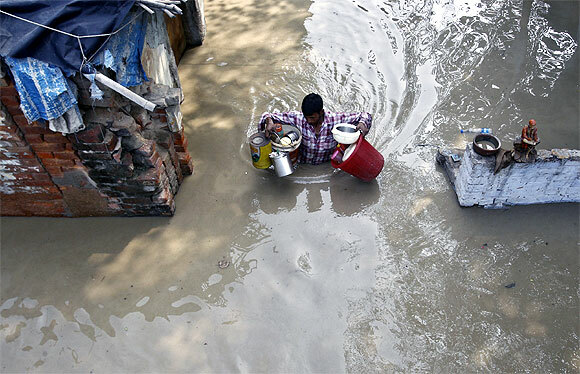 The officials said various low-lying areas in east Delhi like Usmanpur, Yamuna Bazar, Bhajanpura and Shastri Park, Garhi Mandu, Usmanpur Pusta and Jagatpur village were inundated by Yamuna waters. 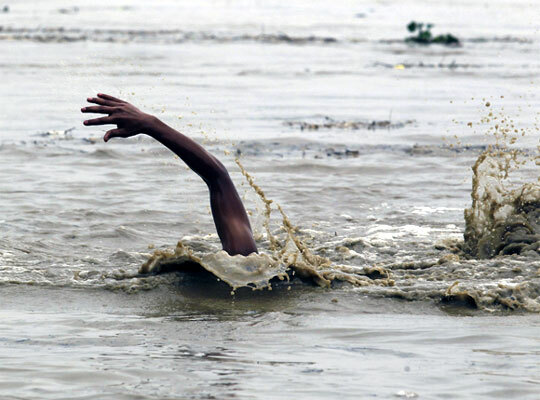 They said a person taking bath at Majanu Ka Tila drowned in the Yamuna water. His body is yet to be recovered. The authorities have set up over 400 tents in four districts -- 240 in East, 100 in Southeast, 50 in Central and 30 in Northeast -- to accommodate the affected people. 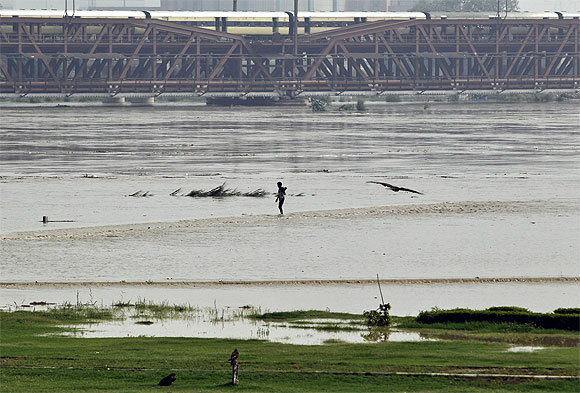 The 145-year-old Old Yamuna Bridge connecting east Delhi with the heart of the national capital, was shut for rail and road traffic for the second consecutive day. "The situation is under control and there is no need to panic. The government has taken all possible measures to deal with the situation. We are providing all essential items to people staying in relief camps," Dikshit said after visiting a number of flood-hit affected areas along with Revenue Minister Arvinder Singh Lovely. Officials said 62 boats with divers have been pressed into service to rescue people. 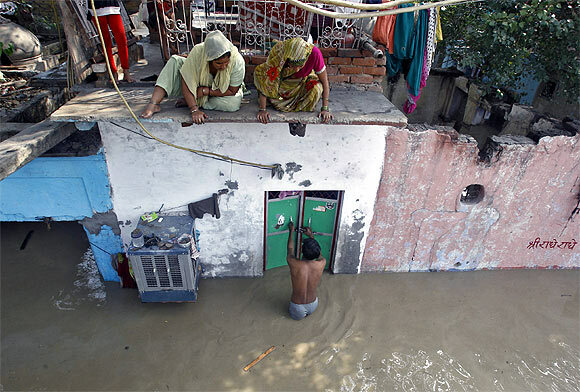 The 'Disaster Control Room' in the office of the Delhi Disaster Management Authority has been overseeing the rescue operation along with departments and agencies concerned. Local administrations in various low-lying areas are making public announcements asking people to leave for safer places. The chief minister visited relief camps in Mayur Vihar, Phase-I, DND Flyover, Nursery Khader Mayur Vihar Phase-I. 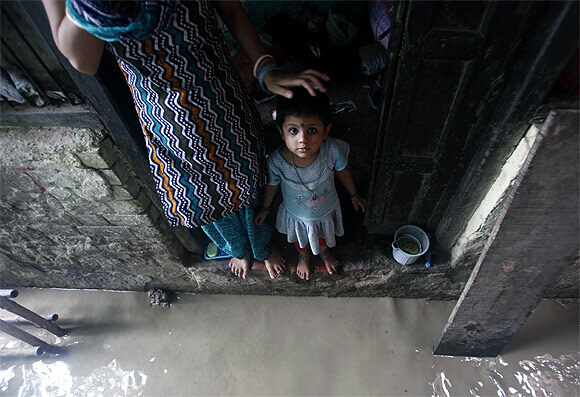 Officials said 19 shelter camps have been set up while 500 tents were erected to provide shelter to affected persons.